Pearl Street in historic downtown La Crosse, Wisconsin. ON THE FRIDAY and Saturday I visited La Crosse, Wisconsin, the city pulsed with people. Driving. Walking through the downtown. Dining. Everything I saw pointed to a vibrant community of some 51,000. 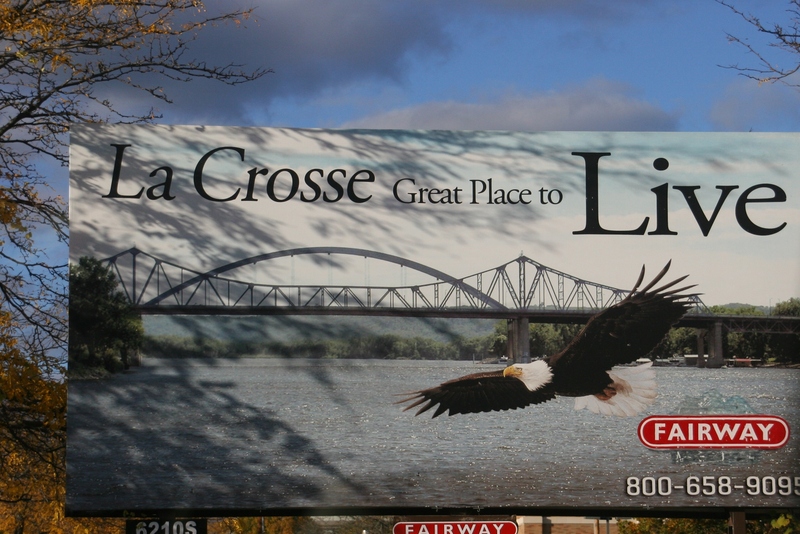 A billboard in La Crosse depicts the natural appeal of this Mississippi River city. 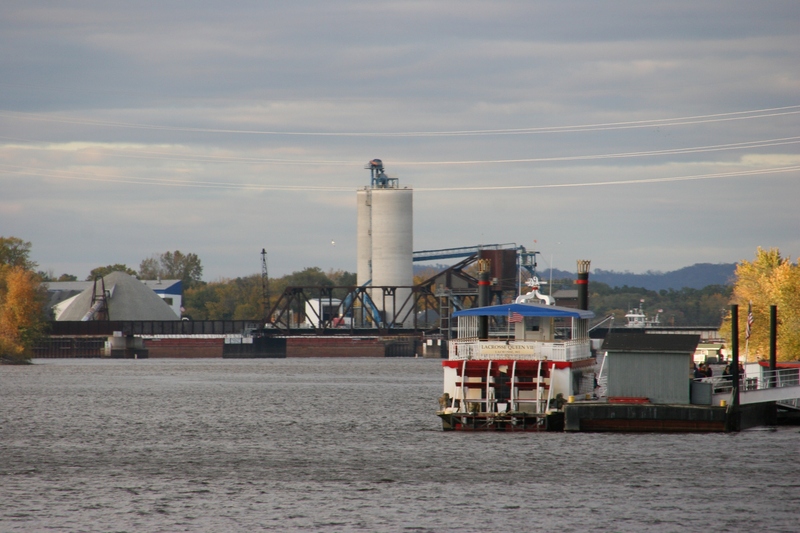 The La Crosse Queen offers seasonal cruises on the Mississippi River. The paddlewheeler docks in Riverside Park near downtown. 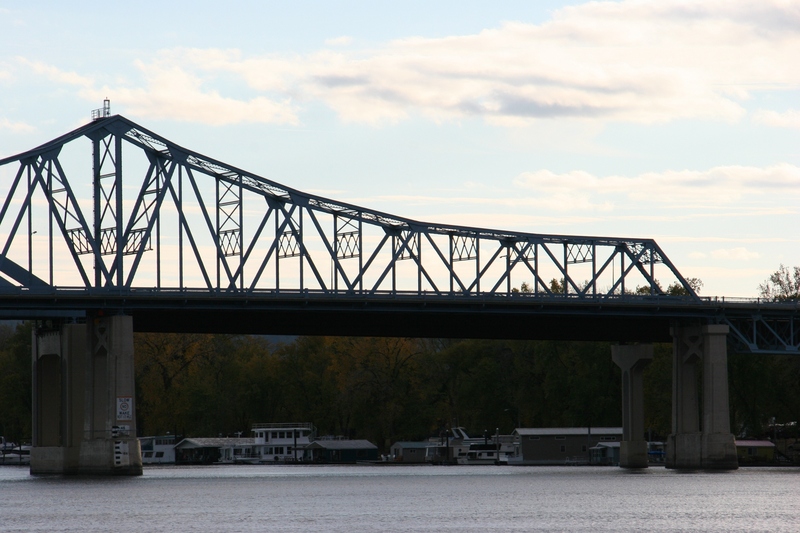 A bridge spanning the Mississippi in La Crosse, photographed from Riverside Park. This is a college town, a regional hub in western Wisconsin, a place of rugged natural beauty, especially in autumn with trees blazing color in the valley and along bluffs. You can listen to everyday stories of the city by dialing the number posted on street level signs. In the audio, you’ll hear first person accounts of events that happened at that exact location. Go ahead, dial the number seen in this image. 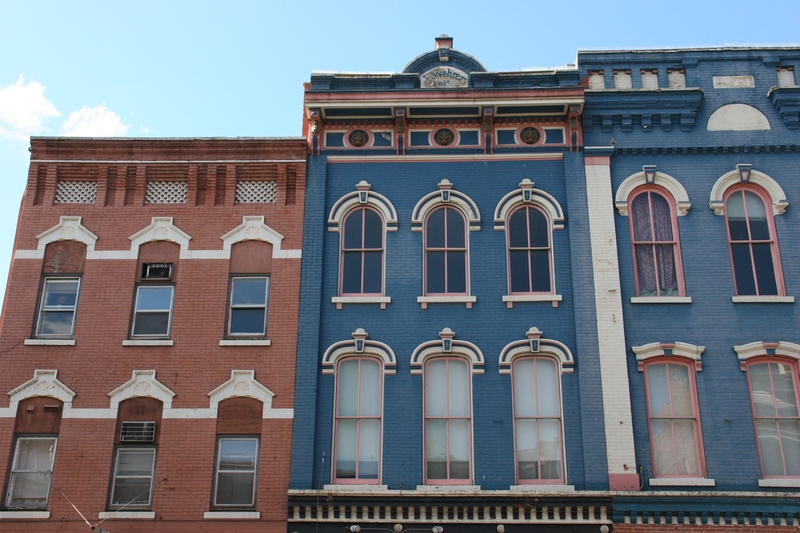 A snippet of the historic buildings in downtown La Crosse. 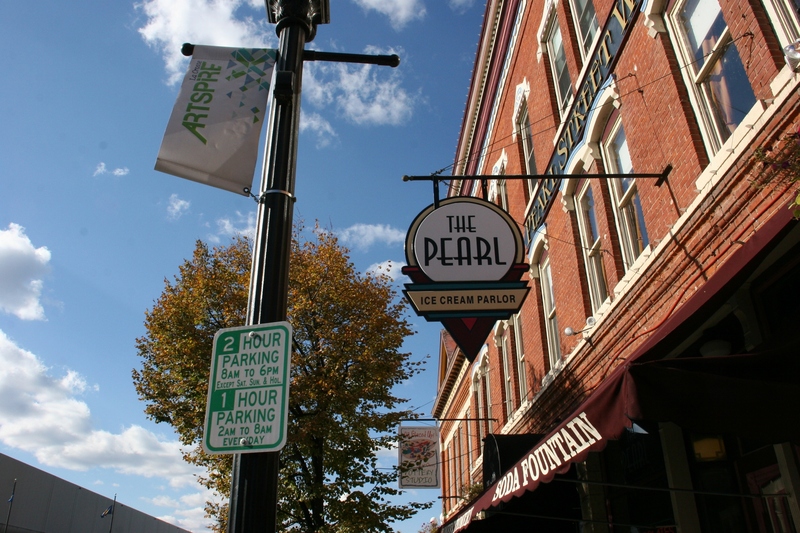 Several businesses are housed in Pearl Street West. This city presents an architecturally pleasing downtown with the five-block La Crosse Commercial Historic District on the National Register of Historic Places. 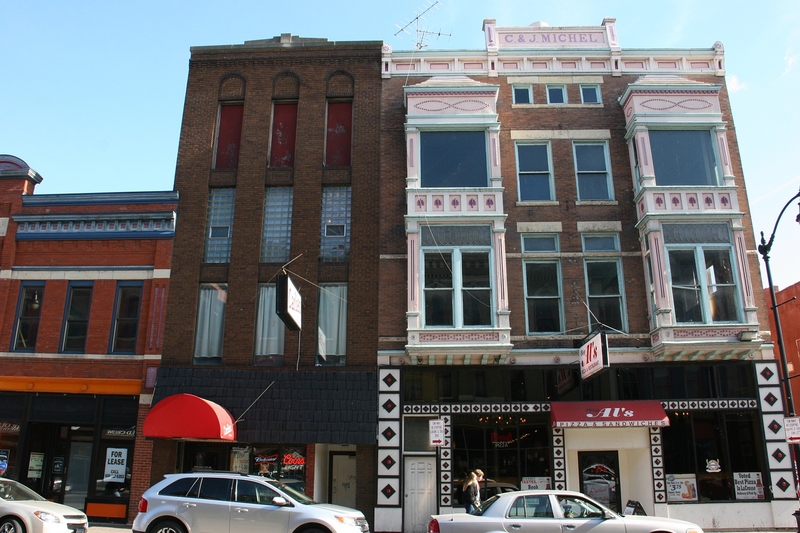 More than 100 buildings in the Historic District about a block from the Mississippi River. Downtwon La Crosse features stunning architectural details in its downtown Commercial Historic District. 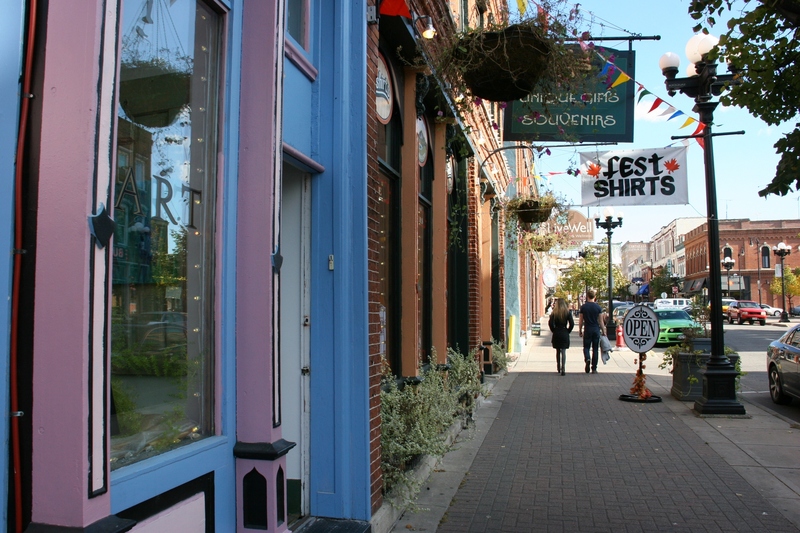 You’ll find down-home shops in historic buildings. 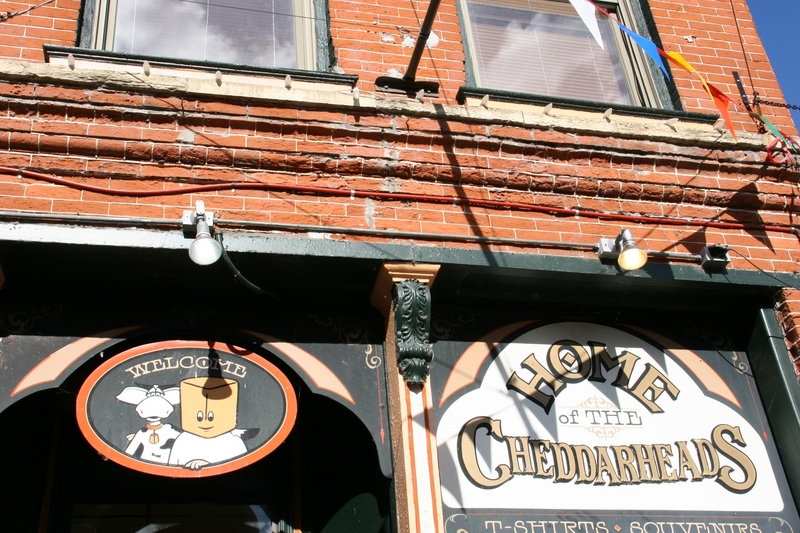 Cheddarheads offers Wisconsin-themed gifts and t-shirts focusing on cheese and the state’s dairy industry. I could spend an entire afternoon simply strolling through the downtown, eyes focused upward to study curves of windows, artsy architectural details and other aspects of these mostly aged brick buildings. This community obviously cares about these stately structures of the past. And that pleases me. Corralling wedding balloons in downtown La Crosse. 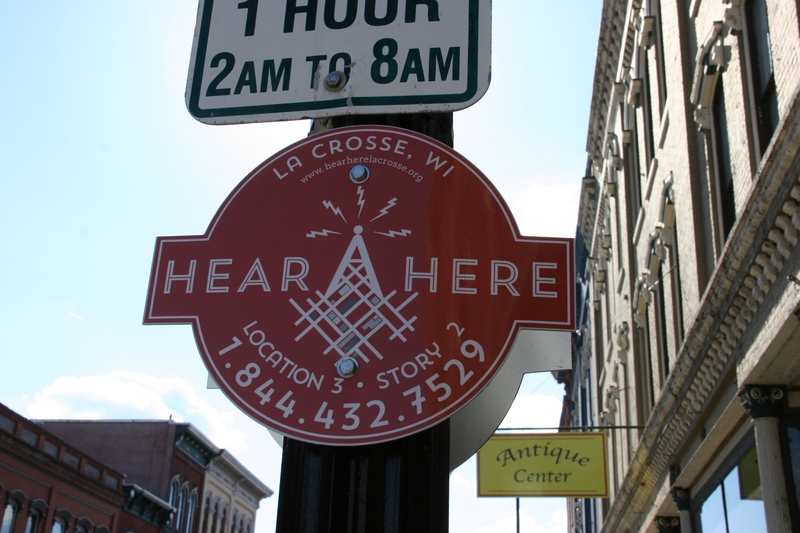 La Crosse evokes a small town Main Street feel. Yet, for someone like me who grew up in rural southwestern Minnesota, La Crosse is anything but small. This city throbs with energy. Heavy downtown traffic. Foot and motor. Busy shops and eateries. If I could afford the price of a downtown hotel, I would have stayed there rather than along Interstate 90 in an overpriced room (for the condition and age) in a hotel badly in need of updating. 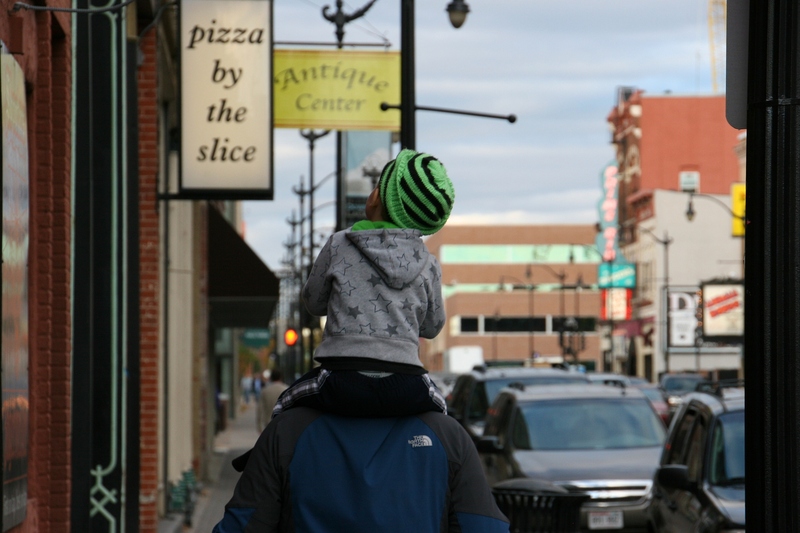 Strolling through downtown La Crosse. I’ll return to La Crosse. I need more time in this community. More time to explore the downtown. More time to check out the parks. More time to visit museums and art centers and other places of interest. It’s one of those cities that appeals to me. It is large enough to offer lots to do, yet small enough that I feel comfortably at home. A sign reminds me that I’m in America’s dairyland. 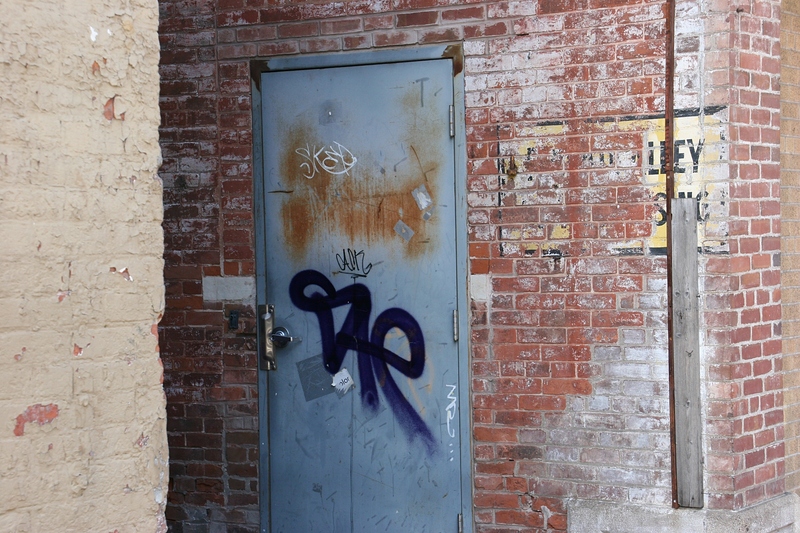 I notice details, even graffiti on a business side door. This concludes my five-part series from downtown La Crosse. Check back for related posts from the area. I definitely think that you’ve captured the heart of the town. 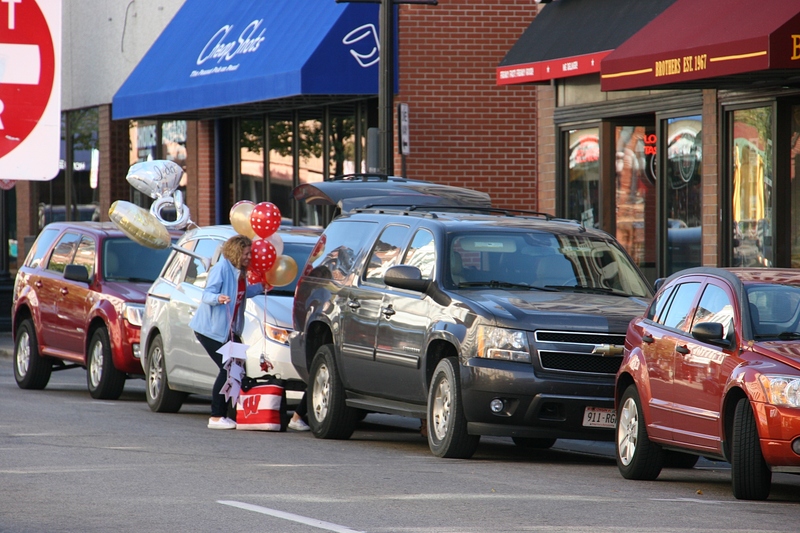 LaCrosse’s “Main Street Assoc.” is very active in all the preservations you observed. From early Spring til late Autumn there is always much to do and see (including, of course, all the “Queens” of the Mississippi River who make LaX a very major stopover. It was unfortunate that your overnight was in such an establishment…….one of the many B&Bs in the area would have been much more preferable—–and pleasant!!!!! 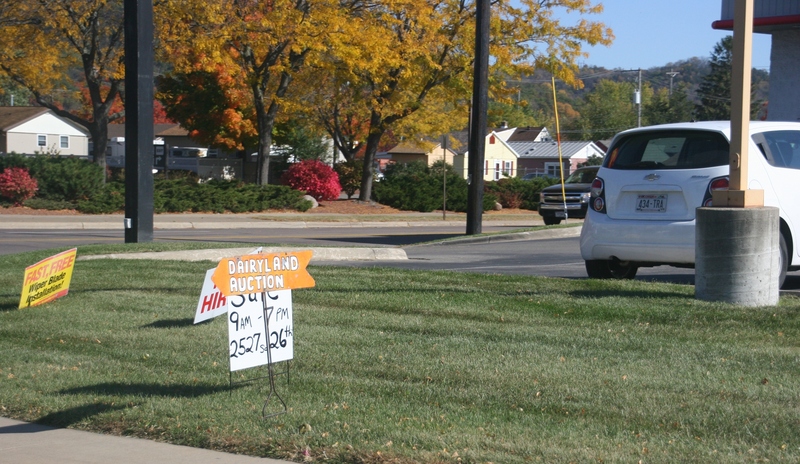 Love the posted phone numbers to “hear more” about that spot . Great idea. The architecture is very striking and isn’t it nice when the old is still preserved so well? I love that about places like La Crosse. There is a place for the old amongst the new and that is a pretty wonderful thing. Thank you for a nice tour. You are welcome. I especially appreciate communities that preserve their old buildings. I know it takes a major financial commitment to do this. La Crosse seems to be doing a lot of things right. A wonderful and informative series. Thank you for sharing. I agree, La Crosse is a beautiful city, with too much to see! Rick and I visited a enormous cathedral (Mary of the Angels Chapel) in downtown La Crosse a few years ago! Rick’s Aunt and Uncle live nearby so we have done a little exploring, but like you…. never enough time! That chapel is on my list of places to visit. We didn’t have time when we were there. Even though I’m not Catholic, I still find it interesting and educational to see these beautiful monuments! One of the nuns took us on a tour, she walked us to a enormous harp and sat there and played it for us. It’s worth the trip, and while you’re there make sure to see the “Shrine of our lady Guadalupe” which has a votive candle chapel and an outdoor rosary walk, both are amazing. We visited the Shrine, although the weather was too cold to explore fully. Thank you, C. I’m especially fond of the boy on his dad’s shoulders shot. The LaCrosse Queen – love paddleboats, so fun to travel on. Great series Audrey – LaCrosse seems to be quite an active an busy town. Thanks. Yes, La Crosse is definitely a vibrant river town.